Welcome to The New Jersey Electrical Contractors Association’s East Coast Safety Online Training Institute. East Coast Safety is the training division of the New Jersey Electrical Contractors Association (NJECA) and provides online and live training and networking events for electrical and trade industry professionals. NJECA is the voice and leading authority in the electrical industry for information, education, business management and advocacy in the state of New Jersey. NJECA informs and assists the electrical industry, acts as its principal advocate and helps members in servicing their customers. Acting as the industry’s steward, NJECA continually strives to enhance every aspect of the electrical industry. NJECA provides extensive benefits to electrical contractors in the state of New jersey including business support, marketing support, training and education including CEU, OSHA and online training solutions. 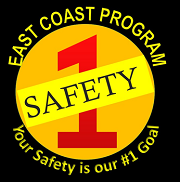 East Coast Safety has partnered with a leading online training provider to bring members, partners and industry professionals an online training solution specifically designed for trade professionals. The university may be accessed directly at www.eastcoastsafetyed.org or through the NJECA website at www.njeca.org. Any professional interested in taking these courses may utilize the institute, and NJECA members and partners receive an additional 10% off any courses taken through the institute. With courses and training solutions designed specifically for electrical and trade industry professionals, East Coast Safety and NJECA are proud to offer a variety of online and live training solutions for businesses and individuals interested in improving their personal safety and increasing their business’ profitability. For information on joining or partnering with NJECA please visit www.njeca.org or call (732) 981-8901. NJECA is proud to be the leading electrical industry association for 40+ years and is proud to service our members and partners through the eastcoastsafetyed.org online institute. Note: Students receive a course certificate for completed courses. Continuing Education regulations vary by local and state authorities, contact your local or state authorities for information on whether you may earn CEU credits for these courses.